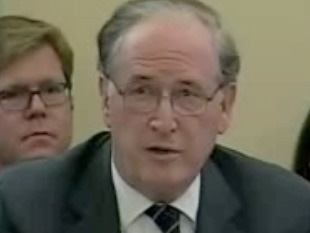 SEN. JAY ROCKEFELLER (D-WV): "There's a little bug inside of me which wants to get the FCC to say to FOX and to MSNBC: 'Out. Off. End. Goodbye.' It would be a big favor to political discourse; our ability to do our work here in Congress, and to the American people, to be able to talk with each other and have some faith in their government and more importantly, in their future."